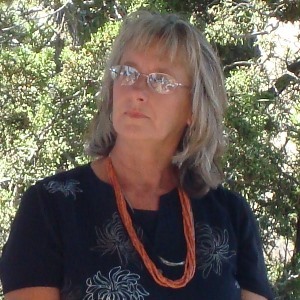 Deborah has been working alongside her husband Larry for the past twenty-five years, producing cultural life-ways retreats, educational seminars and conferences that perpetuate the oral traditions of Native people including six national Tribal American Storytelling Conferences held in Santa Fe, New Mexico which brought tribal elders and culture bearers from tribes around the nation to share their stories. At Hamaatsa, she co-facilitates contemplative spiritual retreats and story camps and as the farm-to-table chef at Tano Farm, Deborah creates artistic healthful gourmet meals inspired by Pueblo and Southwest Native cuisine. Her forthcoming cookbook, "Eat Good!" is about bringing back the sacred in the way we grow, eat and share our food. In her twenties, Deborah worked on her family's farm and greenhouse business in Michigan where she gained invaluable tools for growing heirloom vegetables, fruit trees, flowers and medicinal herbs. She was educated at Kendall School of Design and worked as an art director/graphic designer for an award winning international design firm in Michigan. She is the mother of two gifted creative sons, Raine and Hunter who work in film, photography and music.